In my experience, advertisers are unaware of what programmatic advertising is and how it is monetized. According to these findings from the Association of National Advertisers, a typical advertising agency that is making or orchestrating a digital media buy is eligible for a 6% commission fee for its media service. This excludes what it charges clients for insights, research, strategy, creative, copy, and client servicing. When taken as an average, that’s double of what a traditional media buy would cost, fee wise. It’s also six times the usual fee for national broadcast TV buys. Day to day experience in the field leads me to conclude that most traditional media (TV, print, radio) buys are not rife with deceit, fraud, or hidden agency compensation schemes. A few may fall into that dubious category, but that’s it. Generalisation doesn’t do anyone any favours. As for digital, suspicions have been mounting, with the aforementioned survey confirming the existence of shady activities for search, promotional, and other activities – not for branding campaigns. I doubt that most advertisers who participate in this year’s TV upfront will demand that their buyers guarantee them a certain CPM and, if they fail, will penalise them by withholding their fees. As a response to the increasing frequency of mergers occurring on the advertiser side (client side). ad spending for corporate brand and individual brand inflated unexpectedly. There was an added layer of complexity in media options and related costs in an attempt for operational excellence. 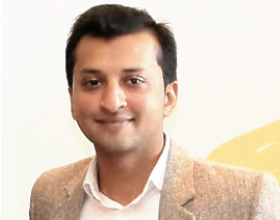 Given that the same time & resources were injected into making an AED 1 million buy as well as an AED 100 million buy, advertising agency’s were incentivised to consolidate and have the planners and buyers work on much larger amounts of spending. This and other factors are what led to the introduction of multiple agency media buying consortiums that have appeared over the past few decades. In traditional media, when an agency of record earns an added 1% fee for handling an advertiser’s corporate network TV buying, a modest profit is built into the fee and everyone knows it. In virtually every case, there is no intent to hide the dirhams or GRPs for the agency’s secret gain. It now appears that the situation in digital media has not always been as transparent, in part because advertisers couldn’t be bothered to learn how digital media works and less vigilant in their oversight or policing. This is now changing. 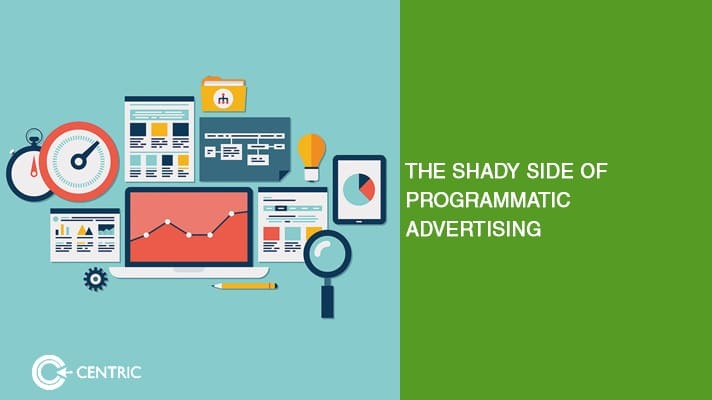 Coming back to programmatic advertising, what makes the ANA findings more troubling is that there’s an additional 21% cost representing the run up of various programmatic advertising platforms that manipulate the targeting data and scheduling of ads. Obviously, the burden of cost for these services falls on the advertiser. Meanwhile, no such hidden fees exist in traditional media for the same services, either direct or supported. On the selling side just deduct another 15 to 20% for their cost, which is anywhere between three to six times the selling cost for traditional media. It’s no wonder that the programmatic advertising platforms offering these services are eager to take over traditional media. In any other industry it would be fraud, in ours, it’s a mere linguistic puzzle. What’s even more troubling about these findings is that of the 58 advertisers that were interested in sharing and taking part, only seven hard the contractual wiggle room to do so. I find it odd that only seven in 58 advertisers have the authority to investigate their contracts. This doesn’t even look at the murky world of trading desks, where over 95% of the analysed data is executed on by the media agency as a DSP managed service. The Australian Association of National Advertisers (AANA) even has a template that advertisers can use as a good baseline and its fair to agencies. What is not mentioned, but an open secret of the industry is that markups can still be up to 1000% (buying crap for AED 0.1 CPMs and selling it for AED 1CPMs), though it will become more difficult to keep such levels with the focus on ad fraud now. The really sad part is that the majority of clients “didn’t have the data ownership rights to conduct a financial analysis”. It’s the clients’ data and that they are not allowed to access it is just beyond ridiculous. This needs to change. If your media partner does not allow you to fully view your data and costs, it’s high time to drop them. So, by all means, let’s be vigilant and pay more attention to media.